Episode 22: Edge of Tomorrow, Edge of Tomorrow VS. Source Code, Top 5 Alien Invasion Films — Super Fantastic Nerd Hour! June 18, 2014 by Ali Mattu, Ph.D.
"Live. Die. Repeat." Your favorite nerds review Edge of Tomorrow! We discuss the film's marketing disaster, Emily Blunt's awesome performance, the film's fun video game déjà vu premise, and how it reminded us that Tom Cruise is a great actor. It's a scifi smackdown in the INFINITE CROSSOVER CHAMBER as Edge of Tomorrow takes on Source Code! We share our top 5 alien invasion films. 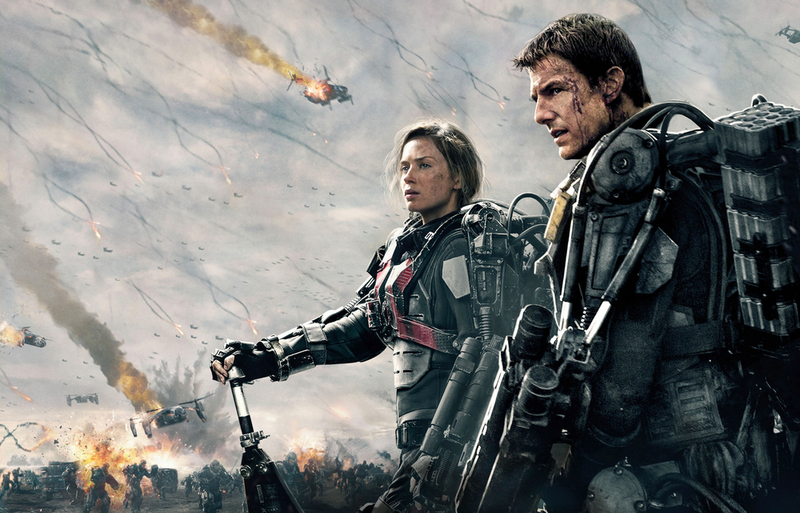 0:00 – 44:09: Edge of Tomorrow. 44:10 – 55:37: INFINITE CROSSOVER CHAMBER: Edge of Tomorrow VS. Source Code. 51:28 – 1:23:57: Top 5 alien invasion films. Edge of Tomorrow is "the most feminist summer action flick in years"
June 18, 2014 /Ali Mattu, Ph.D.